Get four channels of premium-quality audio into your computer... without paying a premium. Producers and musicians will appreciate the ability to connect a second pair of reference monitors or route audio to external effects processors using iO4’s four available output channels. For remote tracking and alternative playback, the iO4 has a 1/4-inch TRS headphone output. High quality analog-to-digital and digital-to-analog converters ensure that every detail of each session or performance gets captured and played back faithfully. 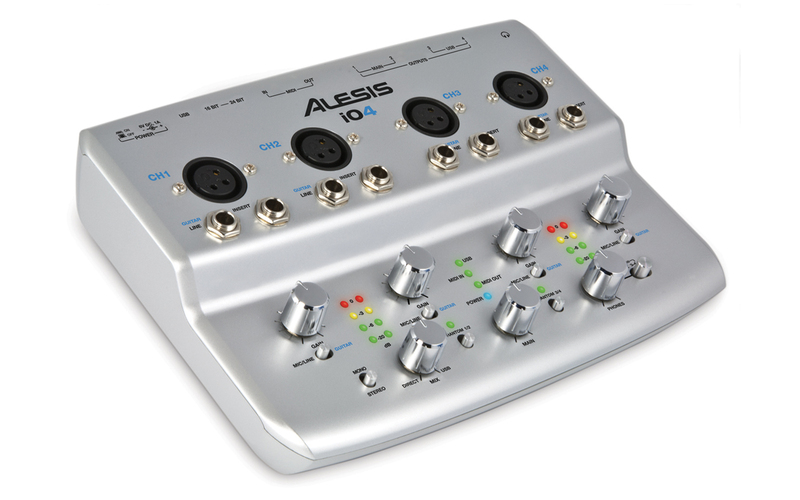 The iO4 features MIDI In and Out jacks for playing and controlling software with keyboard and pad controllers, workstations, and other MIDI-compatible instruments. 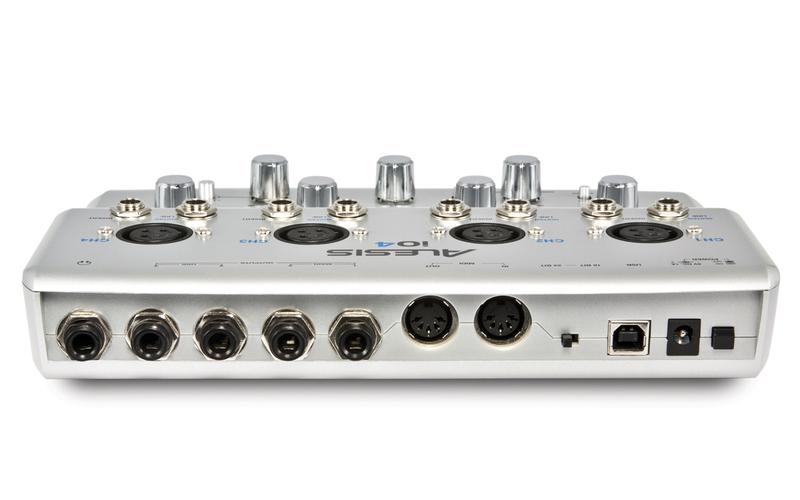 The iO4 sends and receives eight audio channels on a single USB cable for simple, universal interface to a computer. The USB interface is class compliant for plug-and-play operation with Mac OS X and Windows XP, Vista and 7. 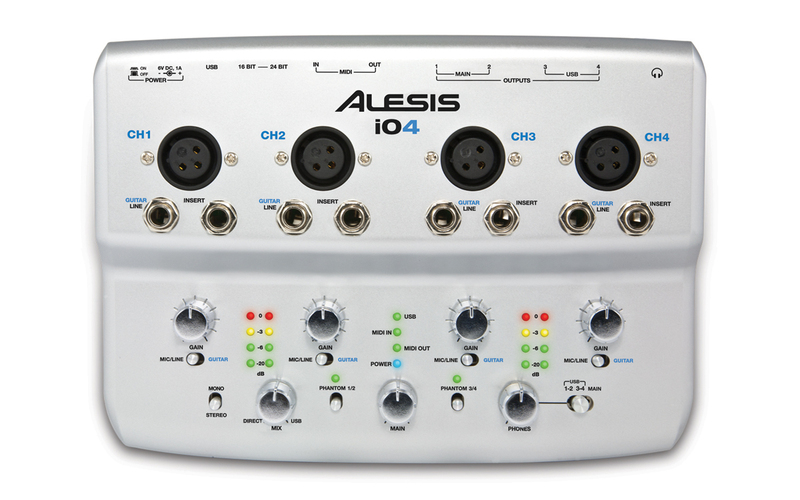 Record any time and any place with the Alesis iO4.